I have spent a lot of time with Cozmo since he arrived in Canada this summer. Every time Cozmo wakes up and begins to interact with you I am amazed at just how awesome this tiny little piece of tech is. He has learned a lot on his own and has become incredibly more skilled at playing games and completing tasks than he was the first few days he was with us. A game of keep-away was an easy win early on. 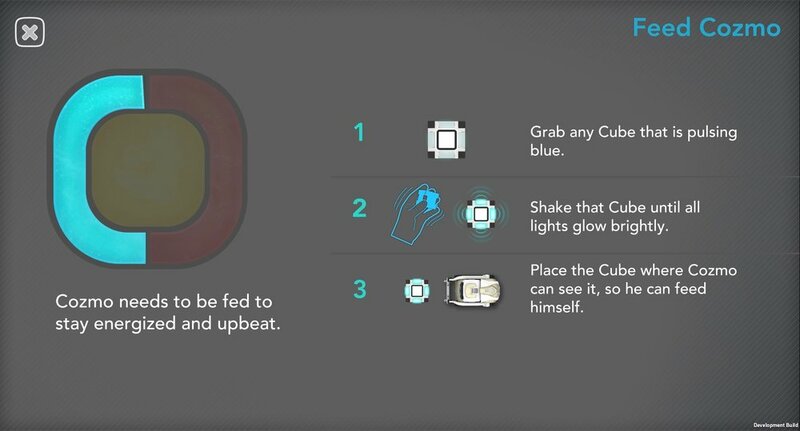 Now Cozmo can keep up and in a lot of cases, win with ease, forcing us to watch him spin around and brag about his latest victory of us inferior humans. The work Anki has put into the development of Cozmo is truly amazing. Check out my original Cozmo review right HERE. Since his USA launch last year, Cozmo has grown up a lot, and now he is primed for another growth-spurt. It has been a pretty incredible run for this little guy. Cozmo had been in development for 5 years before we finally met him last year. He changed a lot over the course of his development before taking his final form at launch. Now, a little less than a year later and only a few months after coming north to Canada, Cozmo is ready to take over the world (in a cute and fun way, not in a Skynet rise of the machines kind of way. I promise...I hope). Prior to today, Cozmo was only available in the USA and most recently, Canada. However, thanks to a lot of hard work from Anki, Cozmo is now available in the U.K., Japan, France, Germany and the Nordic countries. I mentioned above that Cozmo was primed for a growth-spurt too. Aside from rolling into new countries today, Cozmo's application is seeing a major update to take your interaction level up significantly. Prior to today, Cozmo was pretty easy to manage and get a long with. You would play with him by teaching him new games and tasks and play them with or against him with the goal being to fully charge his emotions to unlock more functionality. The update being pushed today is set to "transform" the way you interact with him. Cozmo now has three specific "needs" to keep his development moving along. If you don't play with Cozmo he will get bored. He is a pretty intelligent little guy, so lots of play helps him grow and learn more. Keep Cozmo fed to boost his energy levels. Like any robot, Cozmo may need a tune up after a busy day of play and exploration. As was the case before, the more you put into Cozmo, the more you get out of him. Just like training a pet. If you focus a lot of time and energy on him, the quicker he will pick up skills and be able to do more on his own. If you have not had the update pushed to your Android or iOS device yet, sit tight, it should be ready for download soon. Along with being available in more countries and seeing a major app update, Anki is also bringing us a new version of Cozmo, the Collectors Edition which is essentially the same Cozmo we all know and love, but in a sleek Liquid Metal finish. I haven't been able to get my hands Cozmo just yet, as he seems to be taking the scenic route to get up to Canada. However, as soon as he arrives and meets his elder sibling I will be putting him through the paces to see how they two compare and most importantly, interact with each other. Stay tuned! While we await the CE edition of Cozmo, some homework. Check out the blog post from Anki announcing the upgrades to Cozmo's app right HERE. 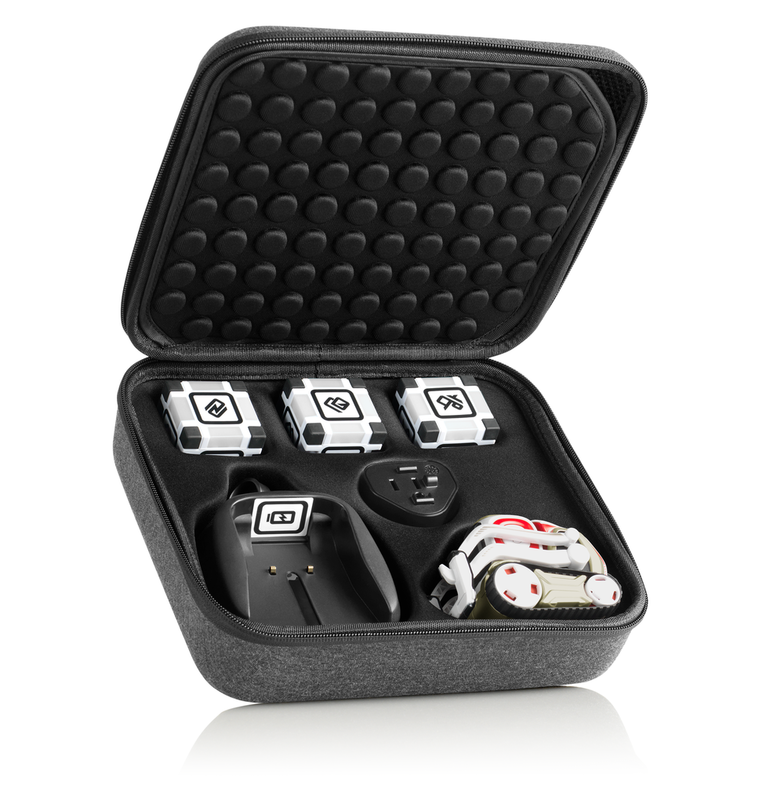 Check out a few of the Cozmo accessories now available! 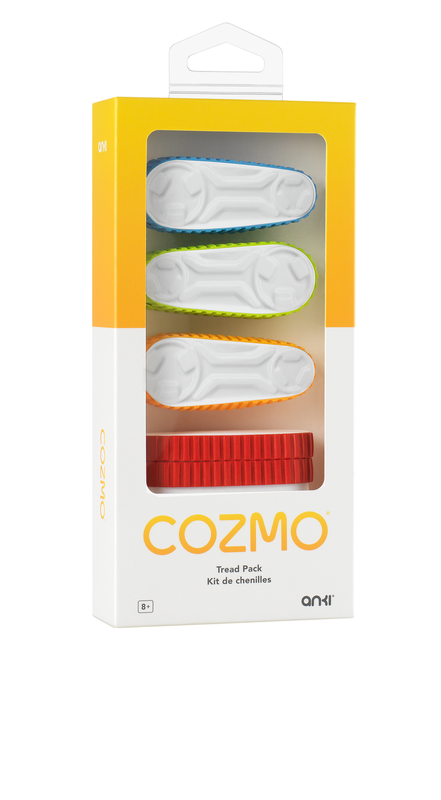 Tread Pack: You can outfit your Cozmo in a new set of treads in the following colours: Osmosis Blue, Luminous Lime, New Dawn Yellow and Crimson Flame. Carrying Case: Cozmo deserves more than the bottom of your bag. Let Cozmo travel in style in a custom molded carrying case that holds Cozmo, his power cubes and charger. As mentioned, the CE edition of Cozmo is on his way here to meet his big brother. So stay tuned for a full review soon and let me know what you think of the work Anki has put into Cozmo. Will he be on your Christmas list this year?